Fortane™ Wood Flooring Adhesive Systems consists of urethane adhesives, moisture vapor & acoustical membranes, and an environmentally friendly cleaner. With over 35 years of experience, Fortane’s R&D team specifically developed Fortane™ Wood Flooring Adhesive Systems with high performance features to meet the needs of installers, such as the “NO HOLLOW SPOT” and “NO PLANK SEPARATION MEMORY” exclusive technologies. 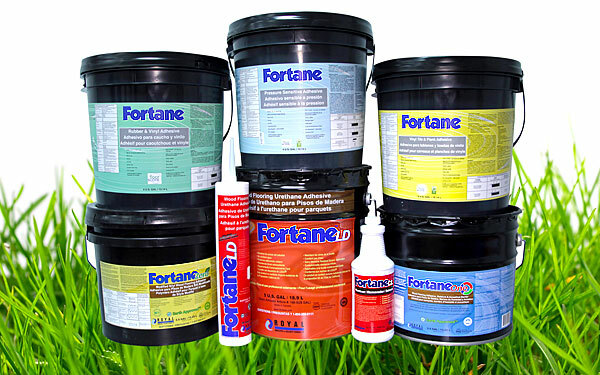 Fortane’s worldwide team of specialized sales and technical representatives, together with a network of manufacturing and warehousing facilities, are prepared to respond quickly to our customers’ needs wherever they are located.